Welcome Shabby Fabrics (and a giveaway)! 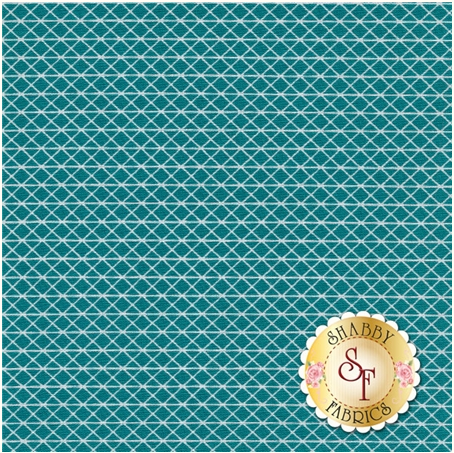 I am excited to welcome Shabby Fabrics as my newest sponsor. Let me tell you a few of the awesome things about this shop. Shipping is free over $75 and international shipping is 20% off the published shipping rates. They have some fun new collections in stock including Miss Kate and Oh Clementine. And they have great basics like Pure Elements and Pearl Bracelets. They just launched a birthday club. You can sign up when you create an account and they will email you a 20% off coupon on your birthday! Earn 5% of your purchase back in loyalty points that can be used on your next order. I was just browsing around and found a couple of Cotton and Steel prints on sale! Shabby Fabrics is offering a 10% off coupon to all of my readers. Just enter Kitchentable10 at checkout. The coupon is good through 10/18/14. And Shabby Fabrics is offering a very generous giveaway. One lucky person will win this fat quarter bundle of Oh Clementine. This collection is so cute, it has some great versatile prints, and it is designed by the amazing Allison of Cluck Cluck Sew. To be entered into the giveaway just leave a comment on this post and make sure that I have a way to contact you. I will choose a winner on Friday September 19th. I'm new to all of this so thanks for sharing a new source! Love this fabric, colors a fantastic! I would love to win giveaway and start my little project for my baby. I love Allison's new fabric line...her patterns are amazing too! Super cute bundle - thanks for the giveaway! Shabby Fabrics is a favorite shop of mine! And this fabric bundle is darling! Thanks for the chance to win! What a pretty bundle! Thanks for the chance to win it! It is beautiful. Thanks for the chance. Shabby Fabrics has such cute kits too. Thank you for the chance on this bundle. This bundle is so pretty! Thank you for the opportunity to win it :) I have enjoyed doing business with Shabby Fabric so what a great sponsor! I love the Oh Clementine line - so happy! Thanks! Looks like a nice shop, I hadn't come across it before! This collection is beautifuL! Thanks for the chance to win some. I love that they carry the Art Gallery Elements! Allison Harris is such a fun designer. Happy prints. Happy quilts. And I love Shabby Fabrics birthday discount idea. Thanks for sharing. 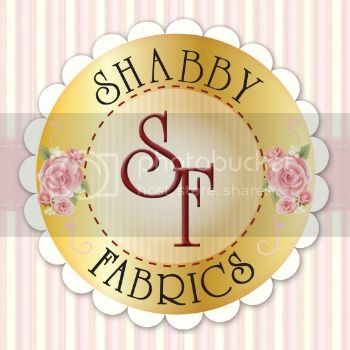 I love the name and logo for Shabby Fabrics! Allison's new fabric line is so fresh and pretty, I would love to win this bundle!! Thanks to Shabby Fabrics and you for the chance!! I love this collection of fabrics. It is very inspiring to me for many kitchen projects. I have bought from Shabby Fabrics before and I have been pleased. Great place to shop! Gorgeous fabric collection - thanks for the chance to win. Oh, what a delightful collection. The one with the large, sunflower like yellow flowers -- oh, I am in love!! Really love this collection , and Shabby Fabrics. They are the best. I love that fabric collection! It is so yummy! Love the colors in Clementine! I love the clementine fabrics! I want! Such a generous giveaway. My mom wants a lightway summer quilt and this fabric would be perfect. Thanks for the chance to be the winner and congrats on the new sponsor. I love Clementine - gorgeous colours! That all sounds good! I will have to check out Shabby Fabrics! Beautiful fabric bundle. Thank you for the chance to win. Matsche.christine@yahoo.com. Beautiful fabric. Thanks for the chance to win! Pretty bundle of fabric, Thank you Shabby Fabrics for the giveaway. What a wonderful bundle. Thanks for the opportunity! Oh more fabric!!! Is there a "group"? Such darling fabrics! I can already see a quilt, baby items even sewing room accessories! Thanks for offering this great opportunity! Love the Bundle. Great Shop too! Beautiful fabric. Thanks for all of your tutorials. Thanks for the giveaway. Would love that fabric. Thanks for sharing. love the new fabrics!!! thanks for the chance to win. I have ordered from Shabby several times and they are a great shop with lots of precut fabric combos. Would love to win these fabrics. Colors go so well together. I have ordered from Shabby before I love that shop. I also love Allison's fabric line! I'm new so thanks for the great shop source! Their name is great enough to get me to their site. So cute! Thanks for the chance to win. I don't have a stash yet so this would bd great! Now I'm off to check out their fabric! I may need (Ha!) want to buy something to start my stash! Happy Monday!! I love shabby fabrics! Thanks so much for the giveaway! So cute! A perfect collection to use for a project with my vintage Singer. Thanks. G Fahrion at comcast dot net. Love those beautiful colors in Oh, Clementine! Love the new Clementine fabric! Beautiful bundle, thanks for the chance! Thanks for such a wonderful giveaway! I love that little bundle and your newest sponsor has great fabrics. I LOVE Shabby Fabrics! Great selection and prices. I just ordered some of that sale C&S fabric from them. what a wonderfull giveaway, thanks for the chance to win it! Ooo, I'd love to win! Shabby Fabrics is a great shop! Love Oh Clementine. Thanks to you and Shabby Fabrics for the great giveaway. What a great giveaway, and such a pretty fat quarter bundle. Thanks for the chance to win. Oh Clementine is so cute! Thanks for the chance. Thanks for introducing me to Shabby Fabrics! Love the Oh Clementine bundle! HI, love this neat collection! Thank You for a winning chance! Such a pretty collection, and always appreciate the opportunity to win a giveaway. Shabby Fabrics has got such pretty patterns and I have quite a few of them. Shabby Fabric's is around my old stomping ground during my college years! I went to school at the University of Idaho, which is very close to Coeur d'Alene (which is a beautiful sity, by the way!!). Their store packs some fabulous fabrics! Thank you for the intro! I just love the Clementine fabrics & Shabby Fabrics. Thanks for a chance to win. Gorgeous giveaway! Thanks for the chance to win. OH Clementine is a very pretty collection - thanks for the giveaway! I'm headed over to see what they have in stock. Thanks for the giveaway. the Clementine is so super cute. Thank you so much! This is a lovely fabric collection. Thanks for the giveaway. Congrats on the new sponsor. I actually just signed up for an account with them this morning, to become a part of their birthday club...since mine is coming up. :) There fabrics are beautiful, and their success story is amazing. What a wonderful giveaway; I'd love to win! Love the colors in Allison's 'Oh Clementine'. Thanks for sharing! I'm going to check out Shabby Fabrics right now! Oh Clementine is an awesome collection!!!! What a beautiful bundle. Thank you for the chance to win. This is a wonderful collection. Thanks so much for offering this give away! such pretty fabrics! I'm a new quilter and would love to start building a stash with such yummy pieces. Love Oh Clementine! Perfect for sewing for my baby girl! Pretty bundle. My youngest daughter would love a quilt with this. I do love this line of fabric and Shabby Fabric! thank you! That is a gorgeous bundle. I often look at Shabby Fabrics shop. Thanks for the opportunity for the giveaway. I really like this fabric and would love to win it. Love this bundle, absolutely gorgeous!! Those fabrics are adorable! Love the blues! Great shop and great fabrics! Thanks for the chance. Love these beautiful fabrics! It would be so great to win them. I love Shabby Fabrics! They are wonderful to order from and have super delivery times! So glad to see they are a sponsor now! Love that fabric collection - maybe I'll get lucky on my birthday, the 19th! I would love to win this beautiful collection! Thanks for the offer and generosity! Would love this bundle! Thanks for the giveaway! I haven't seen this fabric collection before, it looks great. This fabric is wonderful, the colors are awesome. I absolutely adore these fabrics!! Nice fabric shop also. It is my 1st visit here & the fabrics are really pretty. what a gorgeous bundle, I love blue and grey. Such a lovely fabric bundle, thanks for the chance to win! The patterns of this fabric are cute. I love the way the colors of each fabric complement each other. I so need some fabric from that collection because my great great grandmother's name was Clementine, as well as my grandma's middle name. Love this new fabric line. The colors are so ME! Thanks so much for the giveaway! You are awesome! Love the colors in Oh Clementine. Thanks for the giveaway opportunity! I branch out and do so many different color ranges, but my spirit soars when I am around teals, turquoises, and others in this range! Love them all and NEEDS them! Wow, I am drooling over those fabrics! Love the bundle. Love the soft colors. I'm a huge Allison Harris fan and would love to win this! jnunn201@gmail.com Thanks! Look at that aqua teal color! I'm so behind on reading blogs that I didn't realize Allison had a fabric line. Go girl! Thanks for the chance to win! Love this bundle! Thanks for the opportunity to win! In love with the colors of the Oh Clementine..It screams out for a table runner! Thanks for sharing. Beautiful fabric...I love the colors!! Thank you! Love the fabric - love the colors! Definitely would love to win - thanks for the chance! What cheerful colors and designs. Thank you for the chance to win. Absolutely beautiful! Would love to win! That is such great fabric. Thanks for the giveaway! This looks like another wonderful source for fabric, and the Oh Clementine line has been one I've been waiting for. Thanks for offering the giveaway. Love that fabric line! Thanks for the chance to win. I would love to win some of these beautiful fabrics! I love their shop, thanks for the giveaway. Oh I love that line, Thanks for the chance to win it! This line is adorable! Thanks so much for a chance at the giveaway! Such great colors! New to sewing I have so many great ideas. These fabrics would surely bring them to life! I love the colors in this collection. I would love to make a table runner and seat cushions. This would brighten up my kitchen/dining room. Thanks for the chance. What a cute little bundle! Thanks for the chance! I love Shabby Fabrics! They have great collections and some really fun and beautiful kits! I love this giveaway!! thanks for the opportunity to participate! Always liked Shabby Fabrics and love the bundle. Thanks. Such a cute bundle! Thanks! Love Alison's new fabric line. Thanks for the giveaway. A birthday club sounds fun. Thanks for the information. Shabby Fabrics is a great fabric source. That is such sweet fabric! I'm going to have to hoard some of their sale fabrics! I can't believe Cotton + Steel is already on sale! Love this fabric. Oh Clementine will make a great throw quilt for my mom. Also really like the Elements line. These Clementine fabrics are great. Shabby Fabrics is a fun shop. Shabby Fabrics has a fantastic newsletter I love reading. Great choice of fabrics!